What is medium density fibreboard used for and how does it compare with conventional timber? For a time in the late 1990s (thanks in no small part to Lawrence Llewellyn-Bowen), ‘MDF’ bounced around our television screens as much as ‘baking’ does today. Thanks to programmes like Changing Rooms, it was the wonder material for shelves, bookcases, and other projects. MDF – or Medium Density Fibreboard to give its full name – is commonplace, in veneered form with flat pack furniture. 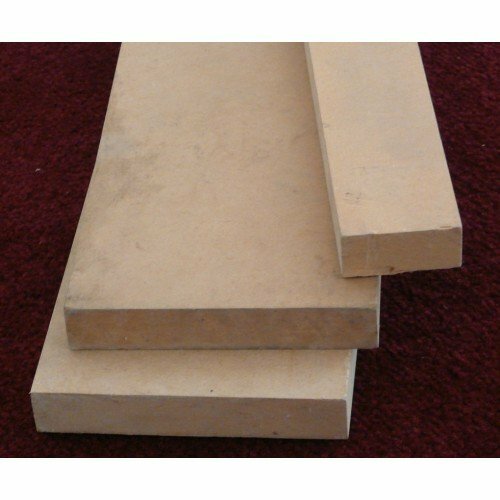 Is it a worthwhile alternative to solid wood? We shall see. How is Medium Density Fibreboard made? MDF is made up of densely packed hardwood and softwood offcuts. They are broken down to wood fibres then machine dried and pressed to make stable sheets. This YouTube clip on Medium Density Fibreboard manufacturing may be of interest to you. How does it compare with solid wood? Apart from its cost-effectiveness, the most obvious aspect of MDF is the lack of knots or rings. Which is Medium Density Fibreboard is easy to cut, paint, and add veneer coatings. The lack of knots or rings make for a consistent surface. How does it compare with plywood and particle board? MDF is stronger than plywood and particle board. Though denser than real wood, particle board (or chipboard if you prefer) is the lightest and weakest kind of fibreboard. Plywood can be stronger depending on its thickness. What about cutting Medium Density Fibreboard? Unlike conventional woods, the manufacturing process of MDF involves the use of binding agents and chemicals. We recommend cutting MDF in a well ventilated environment as formaldehyde can be released from the dust. Personal Protective Equipment like facial masks should be worn. At our timber yard near Manchester Victoria station, Theo’s Timber can also cut Medium Density Fibreboard to any shape or size you wish for. If you would like some more information, call us on 0161 834 6789 or email us at theos@theostimber.co.uk. We will be delighted to help you.